It’s been a while since I put up a good ol’ circuit workout. Not all of your workouts will end up being works of art. In fact the simplest one’s to explain will usually result in your clients working the hardest because they can just focus on getting it done. 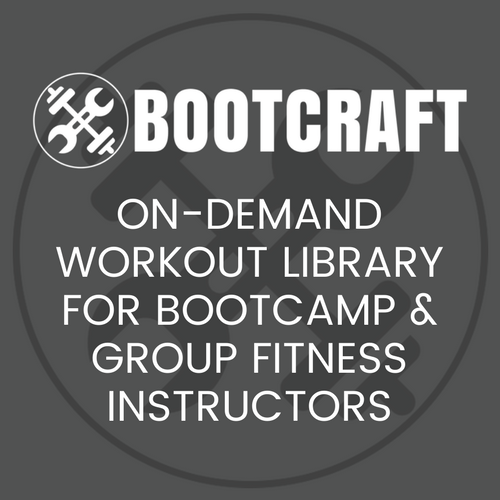 I used this workout as an introduction to a new round of bootcamp. It got the campers familiar with many of the key exercises we do at bootcamp and kept them moving for the full session. The emphasis on this workout is simplicity. Mobility warm up exercises. This video has three good ones to teach your campers. Split the group into 5 groups. Group members should be roughly the same fitness level. Rotate stations when runners (on station 5) finish. Circuit 2 is a timed circuit. The group will need to be redivided up into 4 groups. Change stations every 2 minutes and complete circuit twice. Do 1 Hand Release Push Up (HRPU), run to a cone 10m away and back, do 2 HRPU, run again, do 3 HRPU, etc until time is up. MB Squats x10 then BW Walking Lunge to cone 10m away and back. Repeat. Speed Skaters x10 then Mountain Climbers x20 then walk around cone 10m away and repeat. Plank with forwards reach x5 each side then side plank reach unders x5 each side. Repeat. If you are doing a 60 minute workout, add another circuit here. Stretch. In the evenings I like to go around the group and ask my clients what they are having for dinner while we are stretching. I hope you enjoyed this workout. For more just like them, sign up to our free email list. I’ll send you all of our free workouts as soon as they come out. Cheers!